A stylish young couple and a designer come together to execute their lofty vision. By Gina Tomaine·	 3/28/2019, 9:00 a.m.
Four years ago, when a Rittenhouse pair about to get engaged made the move to a ’90s-era Society Hill house to start their “real life” (read: get married, have kids, be adults), they weren’t sure what they wanted design-wise. They brought interior designer Mona Ross Berman in to redo their home office but quickly realized they wanted to do over the whole house. And they wanted it to be a knockout. With a directive to “push the envelope,” Berman got to work, turning to local outfits like Shay Construction and fabrication company Amuneal to transform the space. “We took the whole house down to the studs,” Berman explains. And now that all the dust has settled? The finished home is a total stunner (it was just featured on Architectural Digest’s website, in fact), and the happy couple are now married and about to have their second kid. The light and airy bedroom is punctuated by a custom Martin Industries chair in the style of French designer Pierre Paulin and a Studio Drift chandelier made from real dandelion tufts, copper and LED lights; it vibrates to self-clean. 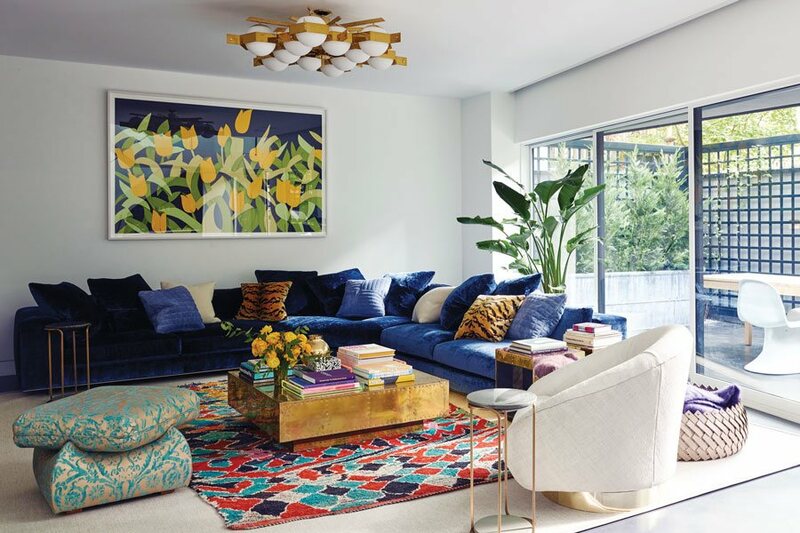 A cushy blue Minotti sofa from Minima and a teal custom Martin Industries ottoman provide color (plus ample space for relaxation); the Gaspare Asaro flush chandelier and vintage swivel chairs — reupholstered by Richard Herzog — infuse playfulness into the room. m Foyer: Berman designed the entryway to be whimsical and modern. 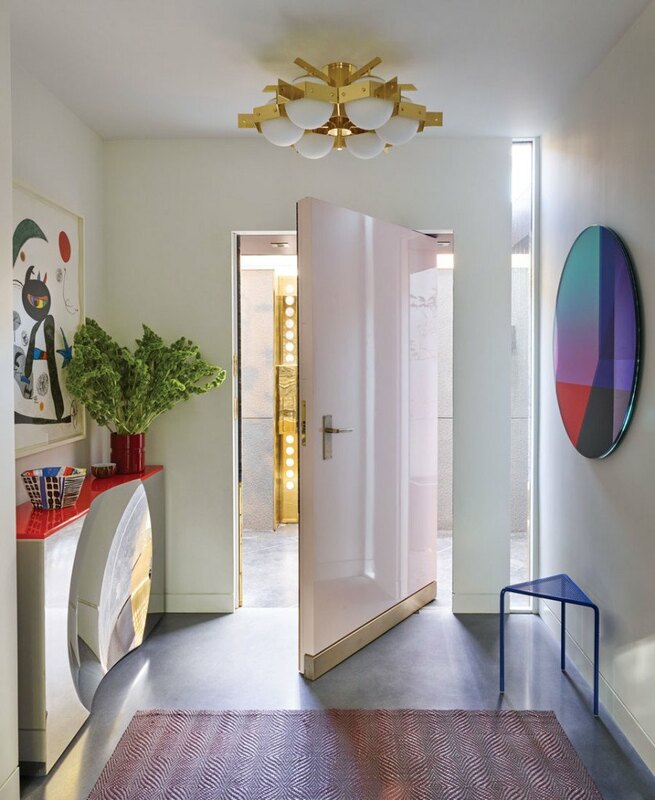 The door is a custom single-pivot Fab Dubrunfaut creation faced in marble and brass and painted in a glossy light pink on the inside. The exterior brass gate is by Amuneal. 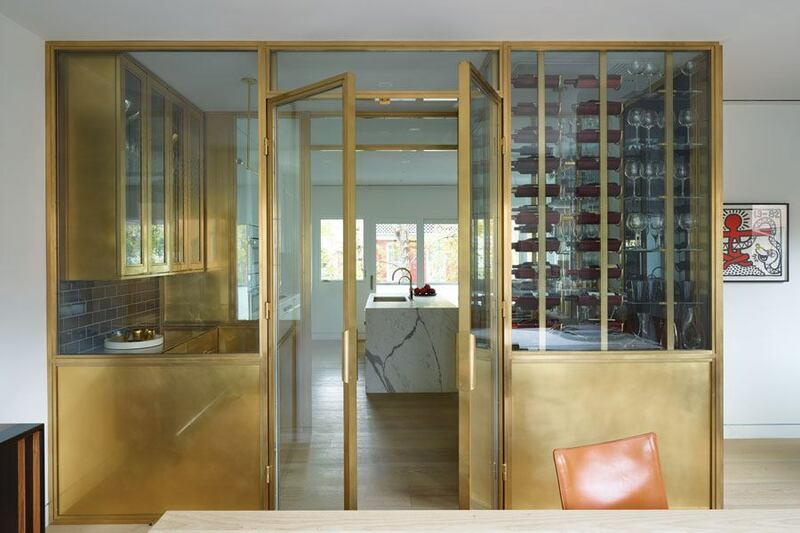 The walkway from the dining room to the kitchen features a set of double doors in glass and warm-toned brass from Amuneal. 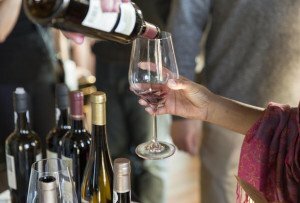 Inside, the team maximized space with a butler’s pantry and a temperature-controlled wine room where favorite vintages sit snugly in luxe leather cradles. Published as “House Cool” in the April 2019 issue of Philadelphia magazine.